AURORA, OH: Video Products Inc announces the addition of a MHL to HDMI Converter for use with Android Smartphones and Tablets. 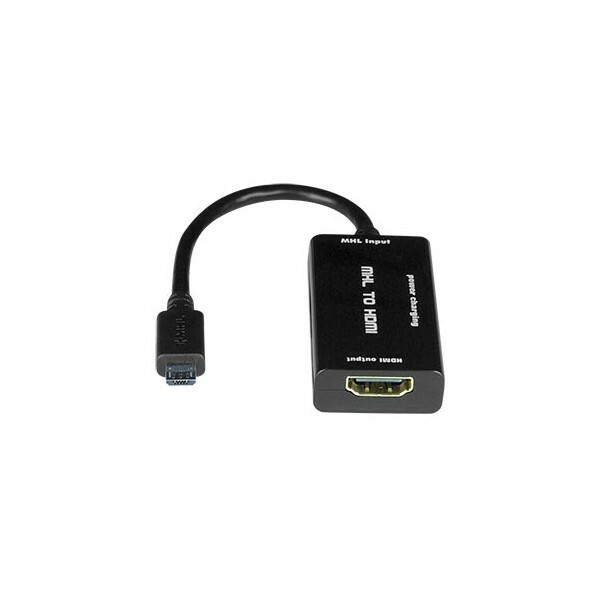 The MHL to HDMI Converter sends video and audio from a smartphone/tablet with MHL (Mobile High-Definition Link) interface to an HDTV with HDMI input. The adapter connects to the phone's Micro-USB port at one end and to an HDMI cable (not included) at the other. A Micro-USB port on the side of the adapter allows the mobile device to charge simultaneously. The MHL-HD-CNVTR supports HDTV resolutions up to 1080p and embedded digital audio through HDMI compatible TVs or audio receivers. 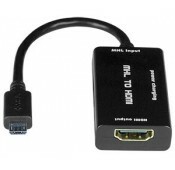 Available for immediate sale, the MHL to HDMI converter sells for $16 each.